Trader Joe’s is a specialty grocery store chain that has expanded nationally due to its success. Trader Joe’s knows a good deal when it sees one. Its growth has included the construction of new stores in Colorado. 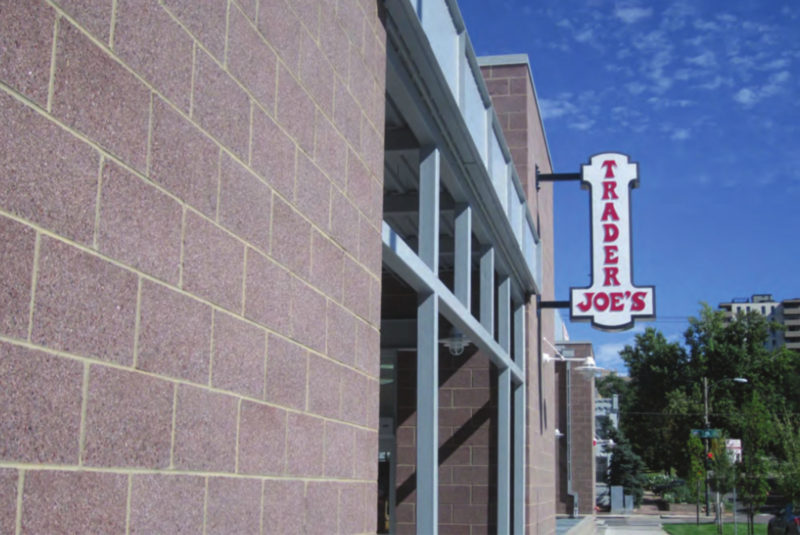 The mason contractor, Ammex Masonry, chose Amerimix Core Fill Grout and Amerimix Water Repellent Mortar with RainBloc from Oldcastle APG, A CRH Company, for the exterior of all Colorado Trader Joe’s locations. On past projects, water repellent was mixed into the mortar on site, which proved to be difficult and time consuming. At one Colorado store, switching to an integral water repellent improved consistency and decreased time, an advantage that, together with silo delivery, contributed to project efficiency and enabled an on-schedule project completion. The RainBloc Integral Water Repellent System is a patented additive incorporated in the Concrete Masonry Unit (CMU) and is factory blended in the Amerimix Water Repellent Mortar. This polymeric-based water-repellent admixture resists wind-driven rain, mold, mildew and efflorescence staining. RainBloc has been proven to have no impact on the bond strength and board life of the mortar, making it perform no different than current mortars. 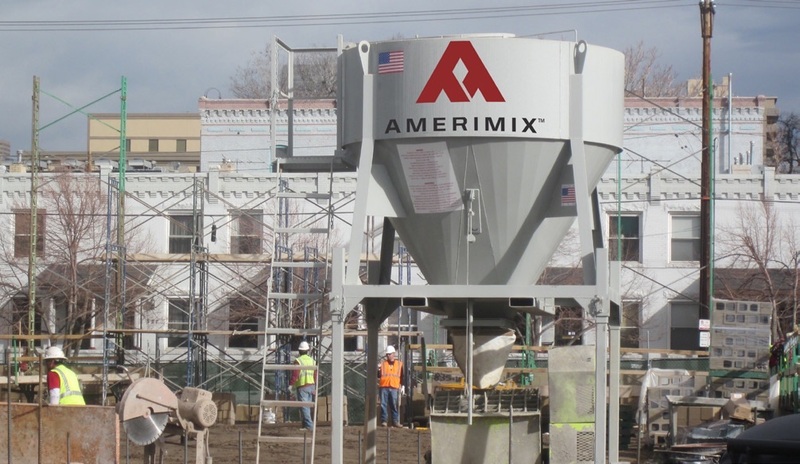 Ammex Masonry used Amerimix silos to help the job run efficiently and on schedule. Masons simply had to pull the silo handle to drop material into the mixer and then add water. The silos allowed masons to make a batch of mortar in half the time of conventional mixing. 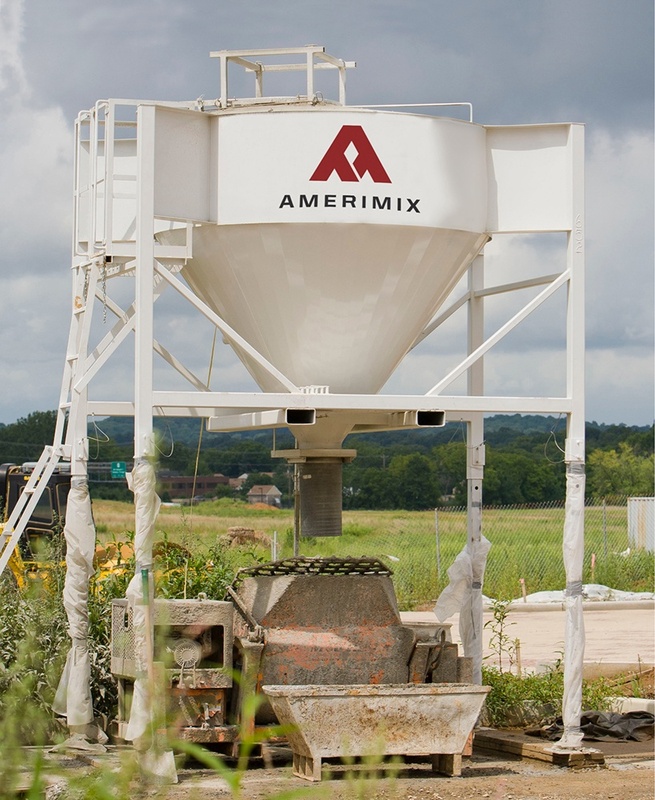 The silos also eliminated labor expenses associated with bag handling, loading, and sand shoveling. Further, the silos were easy to move around the job site and kept products dry due to their weather resistance. The contractor also noted improved workability, ease of troweling, and secure attachment to the head and vertical joints with the integral water-repellent concrete. As a result of this project, all future Trader Joe’s in the state of Colorado will be constructed with integral water-repellent masonry products. These solutions have proven successful in building water resistant wall systems for these contractors. Don’t let moisture intrusion be the downfall of your buildings. Learn more about successful moisture management in your masonry products by downloading our guide to moisture management today.